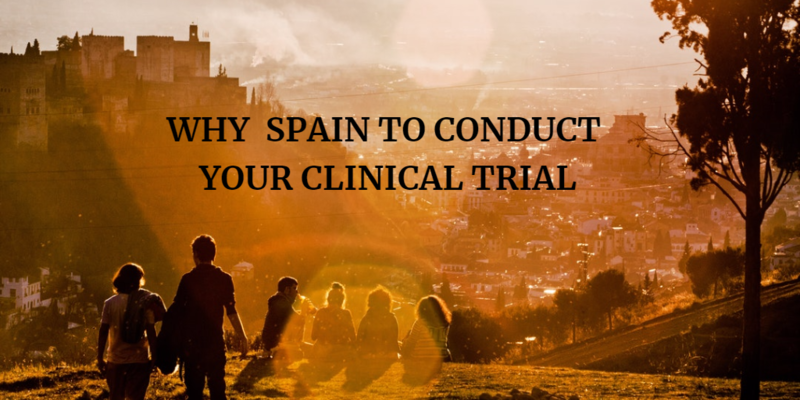 Why Conducting Clinical studies in Spain? 23 Nov Why Conducting Clinical studies in Spain? Why Spain to conduct you clinical trial? The starting point of the development of clinical trials in Spain was in the eighties, thanks to the emergence of the first laws that regulate it, but it wasn’t until 1993 that the research took off with the approval of the Royal Decree establishing the requirements for conducting clinical drug trials. Spain is currently considered a country with many possibilities and suitable for quality research. There are new opportunities for research, offering significant cost savings without compromising the quality of the data. 84% of jobs created in R&D in the Spanish pharmaceutical industry are highly qualified employees corresponding to graduates and doctors. In 2012 there were 759 hospitals: 453 public and 306 private. There are 3.7 doctors available to every 1,000 inhabitants making it the 5th country in the world. Spain participates in one in five clinical trials in Europe. 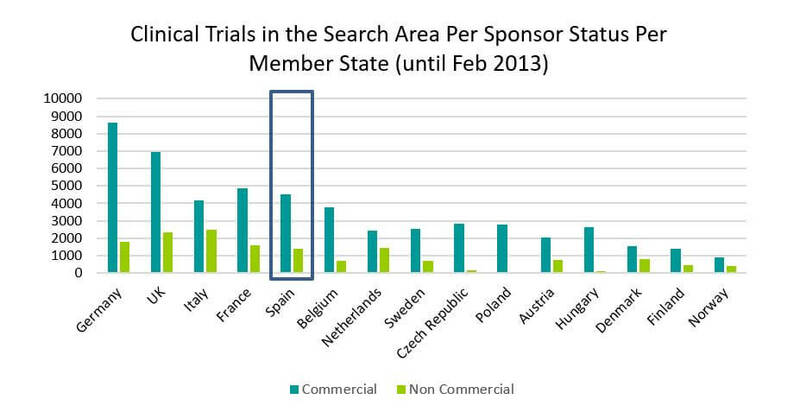 In 2013 around 3,750 clinical trials were authorized in Europe and in 18%, about 700, there was Spanish participation. Spanish participation in clinical trials between 2007 and 2011 increased by 12 percent. Nowadays, about 75% of clinical research in Spain are studies sponsored by the pharmaceutical industry. They are clinical trials that pursue the development of new drugs with great potentials for commercial gains. They are usually developed in many patients, or in a wide therapeutic spectrum. They require a great deal of funding and a very good infrastructure implementation, monitoring and compliance with rules and publication of results. In 2013, the expenditure on R&D in the pharmaceutical industry stood at 928 million euros. 377 million euros (41%) were allocated to research contracts with hospitals, academia and public research centers. From 2003 it has increased by more than 5%. This kind of collaborative research is key for the investigation of new medicines as well as for the scientific development of these institutions and organisations. About 49.2% (457 Million Euros) was allocated to conduct clinical trials, and it has increased by 6% annually during the last 10 years. Basic research, key for scientific advancement, occupies the second place with an investment of more than 121 million euros (13%). Biotechnology related research accounts for 21.5%. Interestingly, Spain is the most prominent in Europe in the number of Advanced Therapy Medicinal Products (ATMPS) in clinical development, 49 in total, among which are those of mesenchymal stem cells, hematopoietic stem cells and dendritic cells. It is followed by Britain with 37 projects, Germany with 36 and United States with 21. It is also a leader in number of sponsors of clinical trials of advanced therapies. A total of 29 organizations supporting this research in Spain, among which 15 academic institutions, 12 centers of patronage and two companies. It is followed by Germany with 25, Britain with 21 and US 20. Cell therapy is another field where Spain is also a leader country with 10% (42) of the total 400. Quantity: 49.2% of the total expenditure on R&D (928 million euros) was allocated to clinical trial and it has increased by 6% annually during the last 10 years. Spain participates in one in five clinical trials in Europe. Leadership: Spain is the most prominent in Europe with regards to the number of Advanced Therapy Medicinal Products (ATMPS) in clinical development and a leader in the number of sponsors of clinical trials of advanced therapies. It is also leader in cell therapy with 10% of total world studies.